Opinions of a Moody Mama: Curious George Season 5 Premieres on Labor Day! 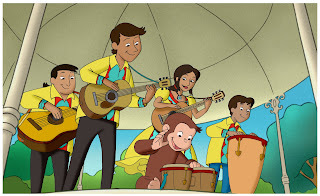 "CURIOUS GEORGE the television series is designed to inspire kids to explore science, math, and engineering in the world around them in a fun and entertaining way. Based on the best-selling Curious George books by Margret and H.A. Rey, the daily series on PBS KIDS expands George's world to include a host of colorful characters and original locales, while maintaining the charm of the beloved books. Each half-hour episode includes two animated stories followed by short live-action pieces showing real kids who are investigating the ideas that George introduces in his stories. The series encourages inquiry and curiosity, promotes hands-on exploration, and shows parents and caregivers how to support children's science and math-related play." On Labor Day, September 6, the all new Curious George season 5 premieres on PBS! Check your local listing for show times. "Hot on the heels of his 2010 Emmy® Award win for “Outstanding Children’s Animated Program,” everyone’s favorite little monkey is back for a new season, bringing his contagious enthusiasm and curiosity to a new set of adventures centered around social science. Premiering Labor Day, September 6, 2010, (check local listings) the fifth season of CURIOUS GEORGE finds the lovable monkey learning about different cultures, modes of transportation, and even bartering! In the season premiere episode, “George and Marco Sound it Out,” viewers are introduced to George’s new friend, eight-year-old Marco, who plays in his family’s pan-Latin band, Lobos de Plata. George loves watching Marco’s band perform in Endless Park, so when the bandstand is taken down suddenly, the pair set out on a whirlwind adventure to find the perfect place for the band to play. Throughout the new season, Marco introduces George to unique elements of Hispanic culture like food, music and celebration." I really enjoyed the focus on Hispanic culture in this episode, and the introduction of new friends and adventures for Curious George! Cooper really enjoyed the music in the episode and was even dancing around the living room a couple of times! I am very excited about the new season of Curious George, and I can't wait to see what the rest of the season has in store for us! Be sure to tune in to PBS tomorrow and watch the season premiere for yourself! 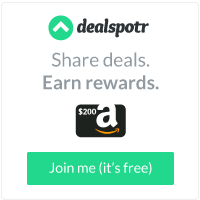 I bet your family will love it as much as mine does! Happy Watching!